I’ve been teaching two classes of World History this year to Intermediate English Language Learners this year, and will be doing the same in the fall. The World History page on my website is my newest section, and has several hundred categorized links. Given that it looks like I’ll be teaching this subject for awhile, I thought it would be useful to my students, this blog’s readers, and me to try to prioritize them into a “The Best…” list. This list, with just one exception, includes sites that cover many periods of World History. There are hundreds of excellent sites (you can find the links to them on my webpages) that focus on more narrow events or time periods. In addition to being broad, my criteria for including a site include that it has to be accessible to English Language Learners and provide fairly engaging content. I’ve ranked them in order of preference, but I don’t think there’s a substantial difference in quality between the bottom and top ranked sites. Number ten is EdHelper’s Social Studies Units. EdHelper is one of only three sites that I’ve ever included on these lists that cost money ($20 per year), but it’s worth it. It’s a resource for teachers, not for self-access by students (unlike the other sites here). You can find hand-outs for most major time periods that can be adapted into many forms. The United States Holocaust Memorial Museum Online Exhibitions is the one site on this list that has a focus on a more narrow time period, and I’m ranking it at number nine. They just have an extraordinary collection of online and interactive presentations that I felt needed to be included here. Number seven is Wikijunior’s resources on Ancient Civilizations. It’s part of Wikibooks, which is collaboratively developing open source textbooks online. The History section of the Simple English Wikipedia is number six. I think the title is self-explanatory. Awesome Stories is number five. It has an incredible number of accessible high-interest stories. Schools and classes have to join, but you can do it in less than a minute, and it’s free. And much of the site is accessible even without registering. It, too, has recently begun providing audio of its text. I’m listing my third-ranked site a little reluctantly. Holt, Rinehart and Winston’s site support for its textbooks sometimes works and sometimes does not. Sometimes it works with Internet Explorer, and sometimes just with Firefox. It’s been this way for years, and I do see an announcement there saying they’re revamping it all this summer. Two of their pages — Holt Social Studies World History and Holt Social Studies Ancient Civilizations — offer chapter summaries in seven languages. The languages include Hmong and Khmer — ones that you won’t typically find in any other sites. Number two is another site that costs money to use — Brainpop Movies. It’s definitely worth the cost, though, which is why it’s ended up on so many of my “The Best…” lists. Their adding closed-captions to all their animations work great for English Language Learners. One important note — I’m posting this World History list on a Saturday night, and I’d recommend that you not visit the Brainpop site until Monday. Something seems to wrong with it, and it’s caused two of computers to freeze-up. I’m sure they’ll fix it by Monday, though. Pete’s PowerPoint Station is a treasure trove of freely available PowerPoint presentations on all subjects, and most of them appear very accessible to English Language Learners, including World History. Most of the other sites I’ve found that have history PowerPoints are much more advanced, and not very accessible, which is why I’m adding the site to this list. I’m also adding an extraordinary collection of short online videos on World History offered by the textbook publisher Glencoe. Another is a companion site to a textbook by Pearson titled World History: Connections To . If you go to each chapter, you’ll find what they call a History and Geography Interactive. Most of these short slideshows provide text support for the narration, as well as good graphics. It’s very accessible to English Language Learners, and the games have audio support for the text. The only disappointment is that the videos aren’t available to watch if you’re in the United States. The BBC’s “A History Of The World” is a neat interactive timeline display of historical objects with images and commentary. Not only is it an accessible and engaging way to learn more about world history, but after a quick site registration you can contribute your own historical object choice to the collection and write about it. The Time Map Of World History is a super-cool interactive and accessible way to learn about…world history. Using a map and accessible text, it starts at 3500 BC. “Timelines: Sources From History” is a nifty interactive from the British Library that lets you explore items from its collection using text, video and images. It’s very engaging. The only negative I see is that you can save favorites, but only to a PDF that you can then print-out. There doesn’t appear to be anyway to save it online. That seems a little strange, but maybe I’m missing something. You can start off at Glencoe’s main Social Studies site. From there, it’s easy to navigate to their U.S. History, World History and Geography books. Who’s Biggest? 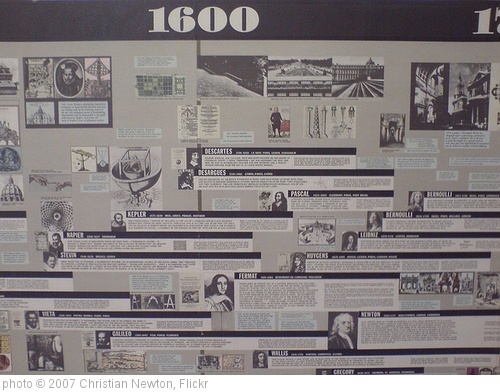 The 100 Most Significant Figures in History is from TIME. 30 Graphics That Explain the Last 100 Years is from Made From History. 100 years of change in Europe is a nice Washington Post interactive tracking political changes on a…European map over the last one hundred years. It includes accessible explanations. World Population History has a very impressive interactive that traces the world’s population over the past two-thousand years. It not only highlights where population decreases or increases occurred, but also provides explanations behind the changes. I learned about these resources from Vox, which also provides more detailed descriptions of them. In addition, he has created a chart summarizing the global development over the last 200 years as the story of 100 people (available at the same link). If you’ve found this post useful you might want to consider subscribing to this blog for free. Love your website. I teach Global History on the college level and this summer my project is to build a website. In my search I found your site and it is wonderful. Thanks much for sharing. I am a high school teacher in Spain, teaching English as a second language. I follow you on Twitter and absolutely love your posts! I also agree with your views on education and use many of your ideas, suggestions and so on. Thank you very much for sharing so much of your knowledge! Thanks so much for the kind note!